Lee writes: We have a new-to-us Mac Pro that has us puzzled. 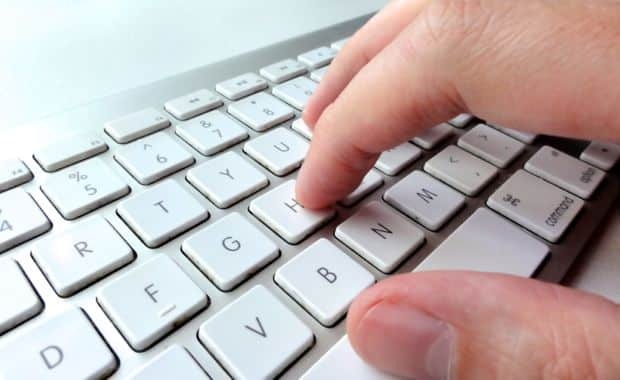 Many of the keyboard keys don’t match the characters on the keys, so we have to do sleuthing by trial and error when we need to insert a hyphen or a slash or colon, etc. How can we reset the keyboard settings to the way it was manufactured? Hi Lee! Sounds like the previous owner of your Mac made liberal use of the keyboard settings shortcuts and other input settings available in the OS X Control Panel—and yes, with enough tweaks, the keys on your keyboard may begin playing some nasty tricks on you. The good news, though, is that it’s relatively easy to restore the keyboard settings to the be what’s out of the box — or the default settings — and start fresh. Want to restore the default settings for your Mac’s keyboard? Open the System Preferences window and head to the Keyboard section. Click on the Apple menu in the top-left corner of the screen, select System Preferences, then click Keyboard. Make sure the Keyboard tab is selected, then click the Modifier Keys button. (This is a setting that lets you disable the Caps Lock key, among other things.) In the window that slides open, click the Restore Defaults button, then click OK.
Next, select the Text tab, then check out the list of text shortcuts (a.k.a. “macros”) saved to your Mac. There should only be a few default shortcuts listed (such as “(c)” and “c/o”). See a lot more, or anything unusual? If so, go ahead and delete the entries you neither need nor want; just use the “-” button near the bottom of the window. Let’s move on to the Shortcuts tab; this is where you’ll find keyboard combinations like SHIFT + COMMAND + 3 (to take a screenshot) and COMMAND + SPACE BAR (to open the Spotlight search box). Go ahead and click the Restore Defaults button to return all your keyboard-combo shortcuts to their default settings. Hope that works, Lee. Still having trouble? Let me know! Want more information? No problem — click here and here for more Mac tips!